I am hosting a #myfootprint challenge on this awesome social fitness app BurnThis, a great place to find motivation and inspiration to be active & healthy! Special thank you to AIR Aerial Fitness for letting me come play! The challenge is fun and easy – to participate, download the free BurnThis app on the App Store and post photos with the hashtag #myfootprint on the app to enter to win $150 to eco-friendly activewear company Yoga Democracy (I’m obsessed with their pants I’m wearing here!) Challenge starts today and lasts for 1 week! Marja and Jessie, the dynamic duo behind the elite fitness brand, Yoga for Movers, are at it again! They just wrapped teaching at Velocity Dance Convention last weekend in Los Angeles and are on the road again this week. Next stop: the glitter and glam of frosty Chicago! Yoga for Movers has worked with world-renowned choreographer, Gigi Torres, and her professional dance training program, Establish Your Empire, in LA. 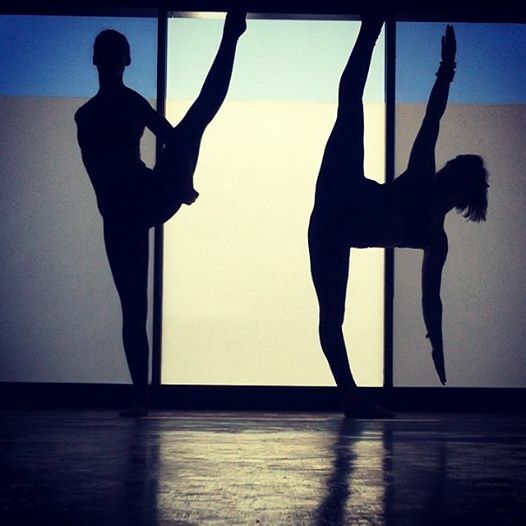 Gigi’s programs have become so sought after that she hosts week-long training intensive around the globe. Yoga for Movers will travel to Chicago to teach therapeutic techniques specific to dancer longevity and injury-prevention to Gigi’s dancers. While in the Windy CIty, Marja travels to south side Chicago’s Kenwood High School to teach their performing arts and dance program as well as After School Matters’ Gallery 37 teen Hip Hop Dance and Culture Ensemble. Yoga for Movers’ aim is to bring the practice to movers, performers, and athletes everywhere. These ladies could not be more grateful to get to do what they love in the great city of Chicago. To keep up on when Yoga for Movers will be in your city, check: www.yogaformovers.com and their IG and FB pages @yogaformovers! Make sure to also check out The Salt Debate! Is salt good or bad for you? This question has plagued society for as long as I can remember. 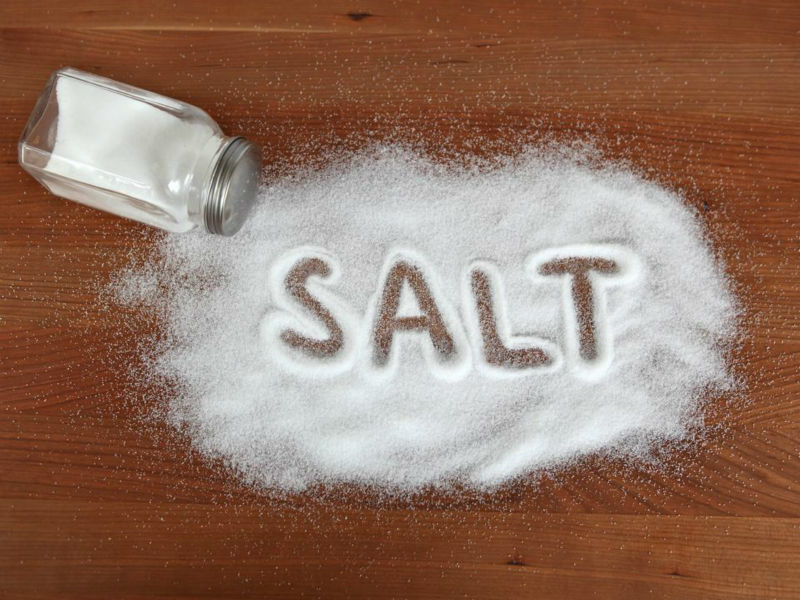 After some thorough research, I have come to some conclusions—REFINED SALT (processed table salt) is deserving of its notorious reputation while SEA SALT deserves a little more praise, and is actually crucial for good health. Menstruating? Resist having those salty tortilla chips in front of you, your lovely female body will LITERALLY hold onto every piece of salt that chip as to offer. Once you start, you want more of it over time. Which is not good for your kidneys, heart, or brain. 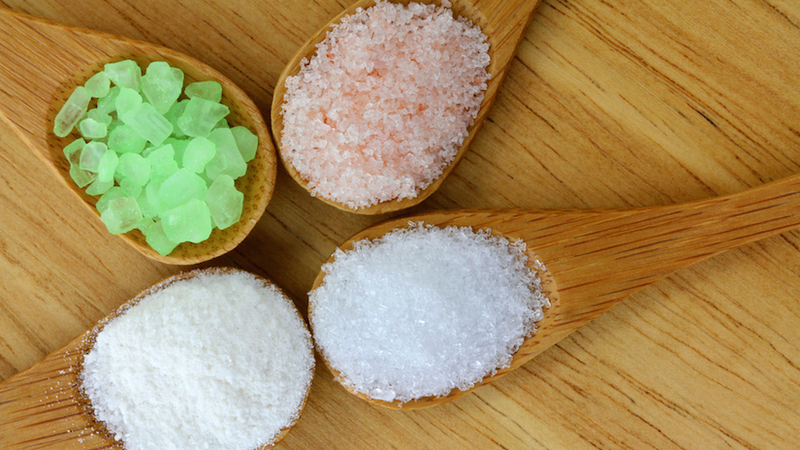 SEA SALT, on the other hand, is a balance of minerals that actually aid the body in its normal functions. 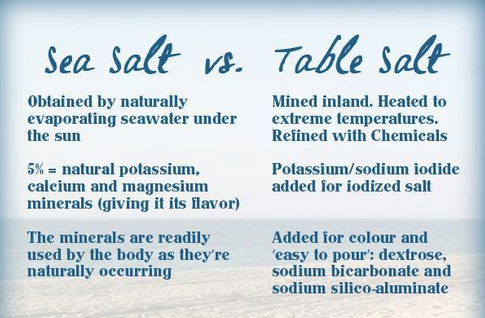 So unlike table salt, which digests as a substance your body wants to rid itself of, sea salt regulates the very problems table salt creates. and much more… let’s not forget how incredibly healing an Epsom salt bath is! The bottom line is you should eliminate table salt the way you seek to eliminate refined sugar. 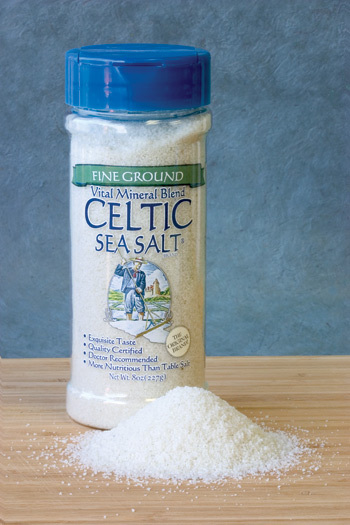 However, sea salt in its natural element is something you may want to start adding to your diet. We are currently loving this 10 minute de-stress and stretch workout from Women’s Health Magazine especially for those slow Sunday mornings. Try it out and let us know what you think! Is dehydration making you fat?